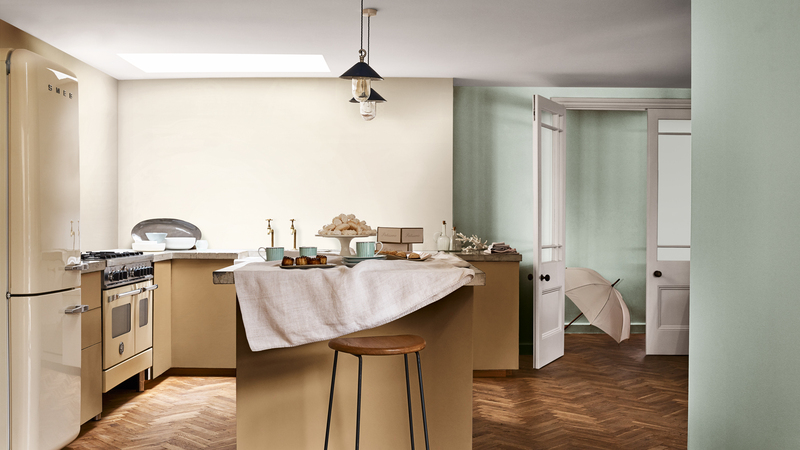 Discover the colour combinations that will bring peace and tranquility to your home with Creme Brulee, Dulux Colour of the Year 2019. This palette of colours is all about creating a place where you can pause, sit and drift away in the moment. Somewhere to find peace and silence. A home that provides a sense of care and tranquility – the perfect place for daydreams. 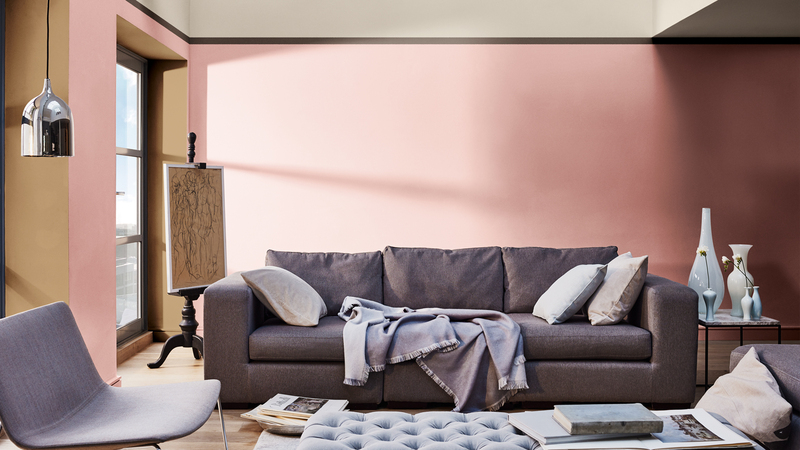 This image above shows the combination of tender pastel pink with the honey shade of the Dulux Colour of the Year 2019 being used to highlight the window frames and add depth to the colour scheme. Dark mink used in a stripe to define the ceiling brings a structural element to the overall effect, while simple cotton and linen fabrics add to the relaxed atmosphere. In this graceful kitchen, the cabinets painted in warming Creme Brulee are the focal point while grades of pastel green and cream create a dreamy, ethereal look on the walls. Pale woods and delicate porcelain build on the sense of low-key elegance. If you’re looking for sleep-filled nights and lazy mornings, this is the palette for you. 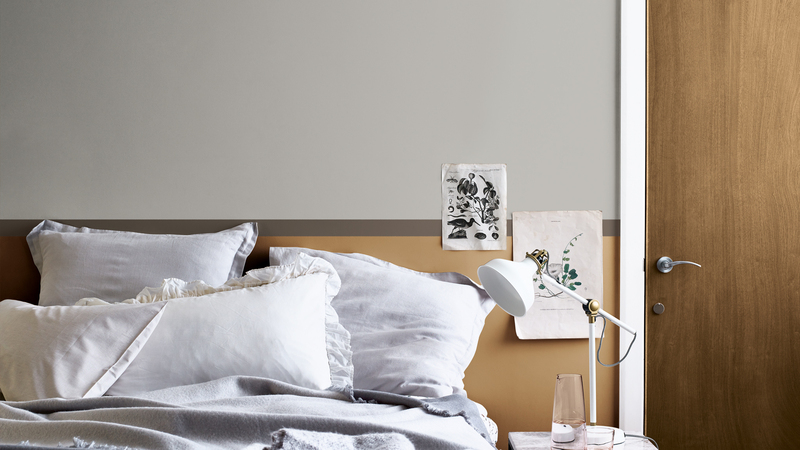 Walls are layered with interest in the form of the warm caramel-tones of Dulux Colour of the Year 2019 teamed with soft grey – while a slender stripe of dark mink defines the border. Crisp white linens and unfussy artworks complete the simple, laid-back look. This dreamy palette works beautifully for a young child with a serene and soothing style that can only help with a good night’s sleep. The lower walls are painted in a delicate mauve-pink while the upper wall is a soft grey with a border stripe of versatile Creme Brulee adding a precious golden tone.